Robert Burns would find his room most accommodating. This corner suite has the largest bathroom in The Spencer. 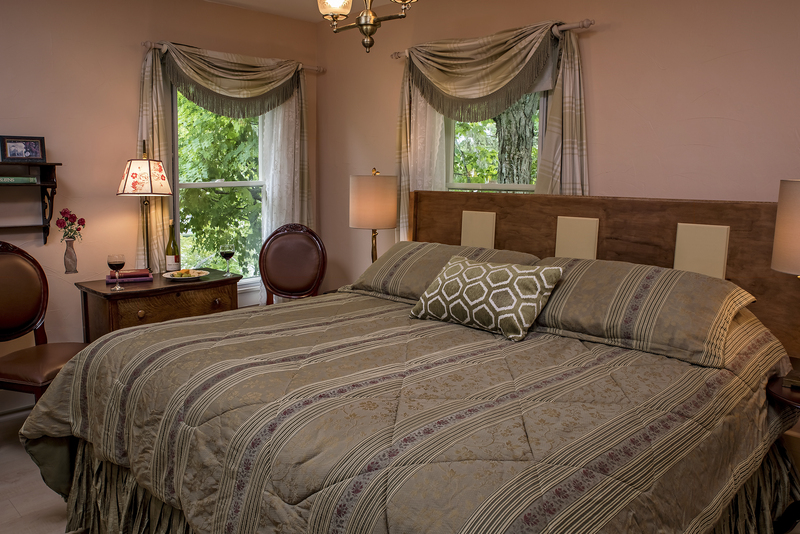 The subdued colors of the Burn’s suite make for a pleasant stay. Scotland’s greatest poet, Robert Burns, wrote in Scots, the English dialect of the country he loved so deeply. His songs and poems are emotionally intense and realistic, and they show a remarkable command of poetic form, especially for one with so little formal education. Burns’ work still arouses strong patriotic feeling in the Scottish people, and his humanity embraces the world. Burns proved to be a gifted and prolific songwriter, both in writing new lyrics and in rewriting old lyrics for old Scottish tunes. He also contributed songs to ‘A Select Collection of Original Scottish Airs for the Voice’. Other songs include ‘Auld Lang Syne’. He is renowned for the variety, satire, and wit in verses such as ‘To a Mountain Daisy’, ‘Address to the Unco Guid’, ‘A Bard’s Epitaph’, ‘My Heart’s in the Highlands’, and ‘Tam o’ Shanter’.